Hi, Im looking for a document holder which hooks on to the middle seat of a transit. 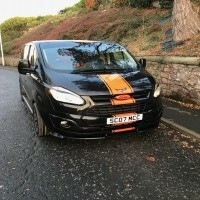 They are made of tough fabric and commonly seen in Scottish and Southern Energy vans, British gas vans and National grid vans etc etc. Can anyone help? unfortunately not, they are very handy, seen one in a National grid gas van on friday, can't find anything about them on the web. They are kind of like a car seat back tidy, but turned around - may just look for one of them. That sounds like something Electricity board has fitted, maybe they commissioned them or bought them wholesale. Pics would be nice, I have a storage box fitted in my works van (ex british gas renault master) but it's not the same as what that sounds like. As much I know van seat document storage is a great idea, but also it's not an easy task. Document storage is a great idea but also not a big task.